The young Brahman Samar has come to the holy city of Benares to complete his education and take the civil service exam that will determine his future. 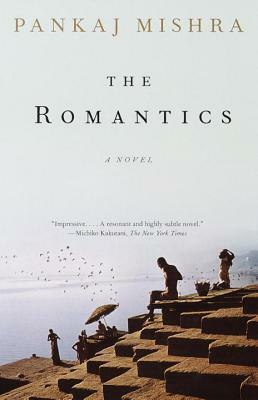 But in this city redolent of timeworn customs, where pilgrims bathe in the sacred Ganges and breathe in smoke from burning ghats along the shore, Samar is offered entirely different perspectives on his country. Miss West and her circle, indifferent to the reality around them, represent those drawn to India as a respite from the material world. And Rajesh, a sometimes violent, sometimes mystical leader of student malcontents, presents a more jaundiced view. This entry was posted in Books and tagged Books, Fiction, India, Pankaj Mishra by memoriesandsuch. Bookmark the permalink.